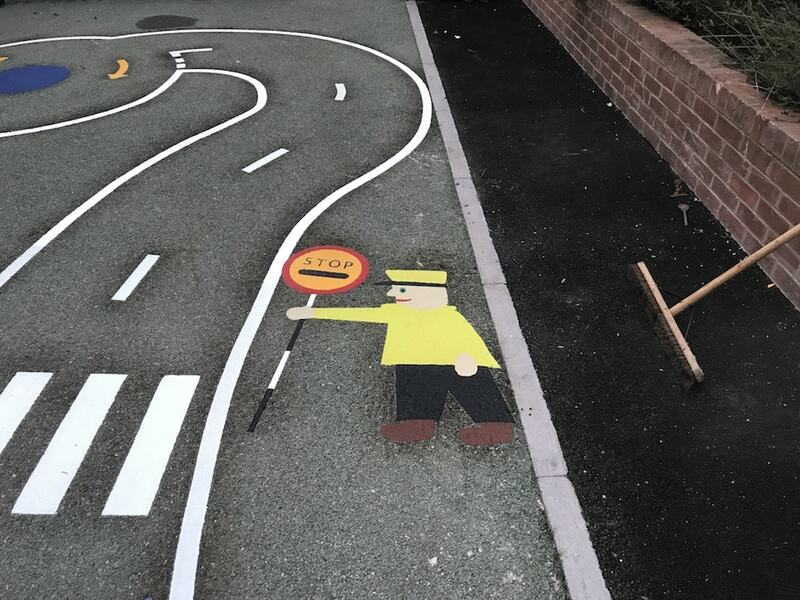 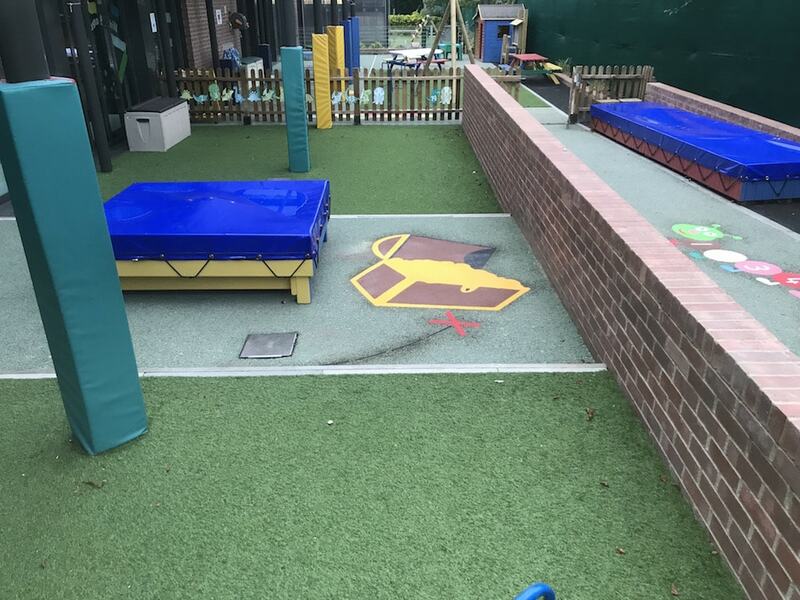 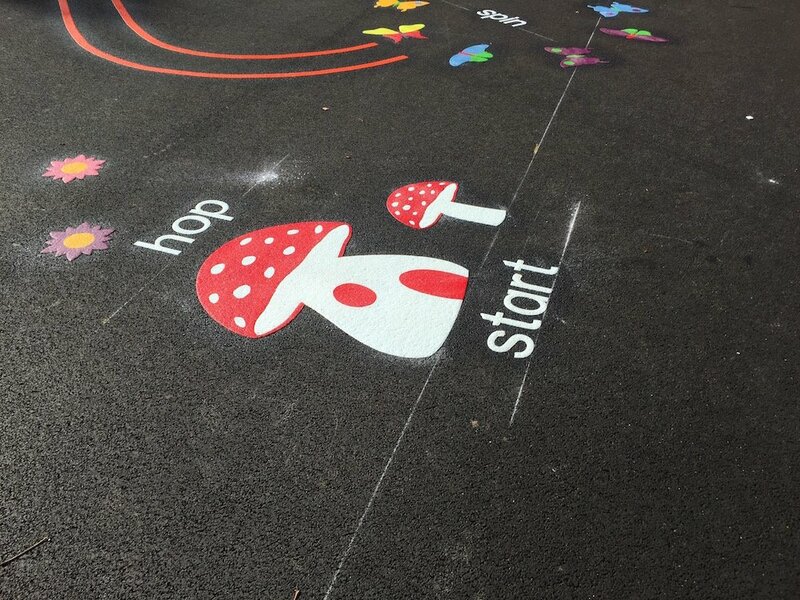 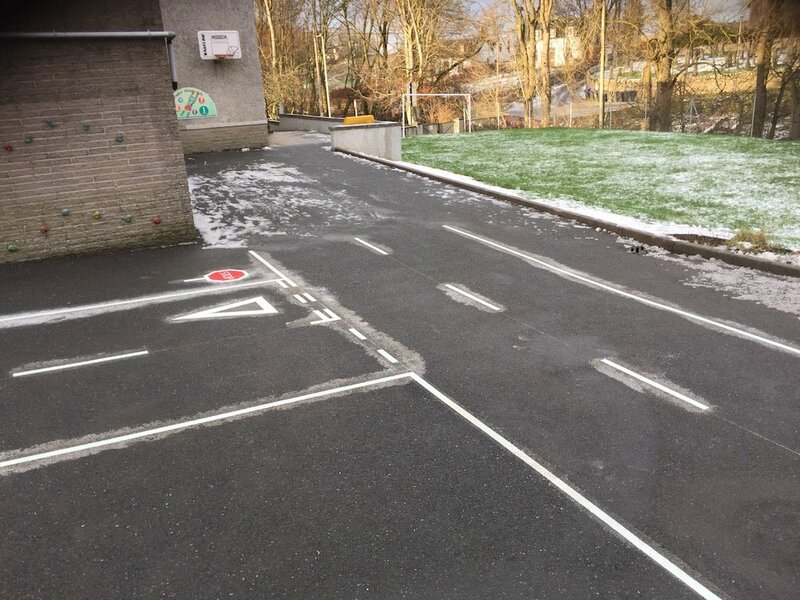 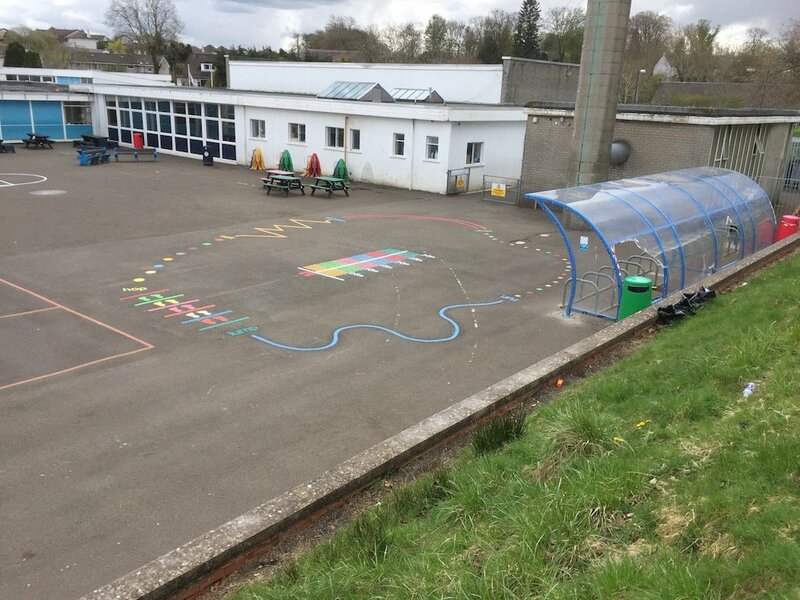 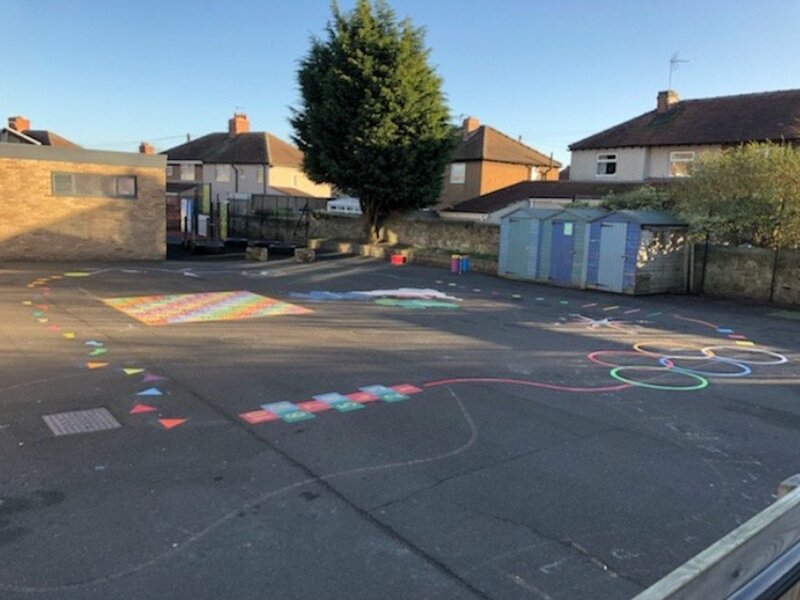 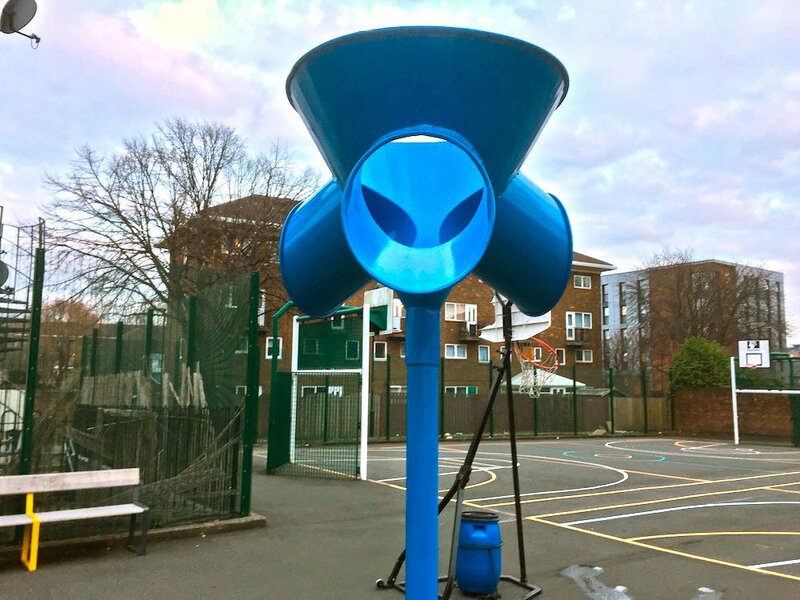 The first4playgrounds team installed a range of playground markings including a caterpillar, treasure chest and hopscotch which brightened up the yard of a London Primary School. 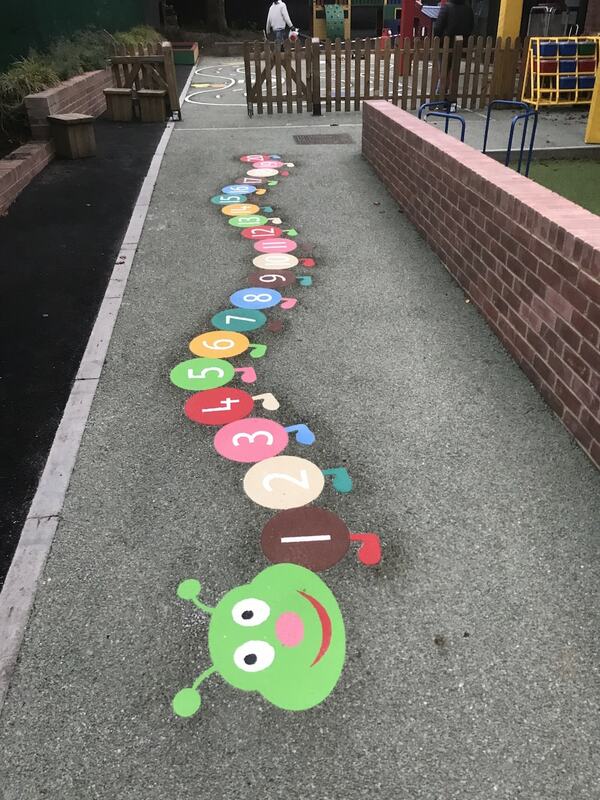 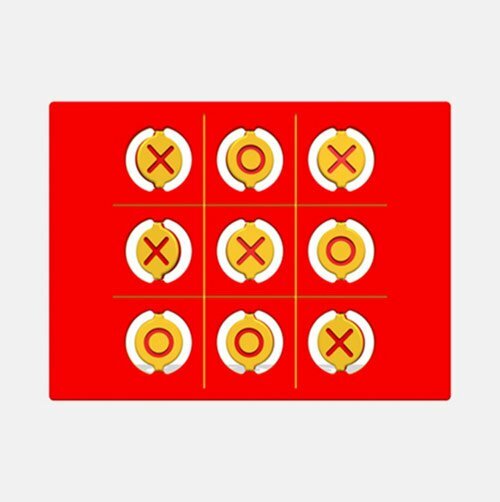 Our team began by installing a 1-20 Caterpillar, a colourful way for young children to learn and practice simple numeracy. 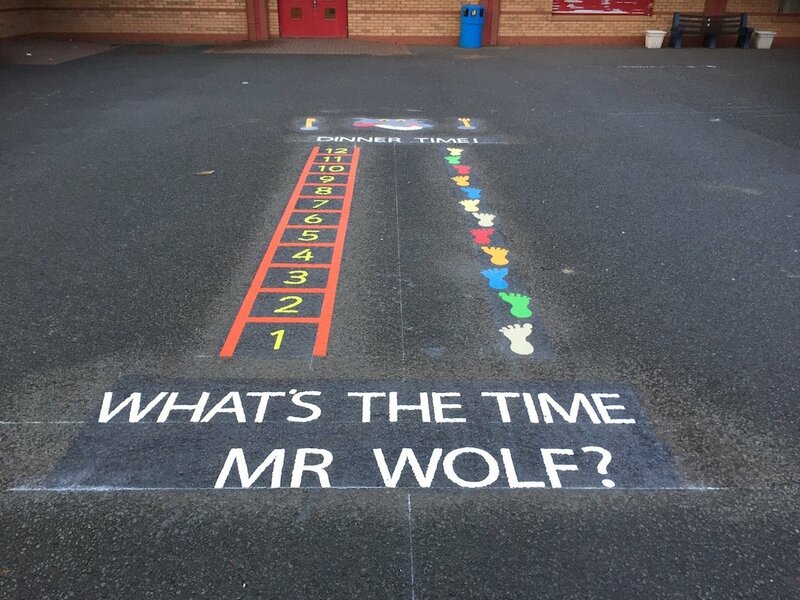 Secondly the team installed this Treasure Chest, an exciting game for the younger children. 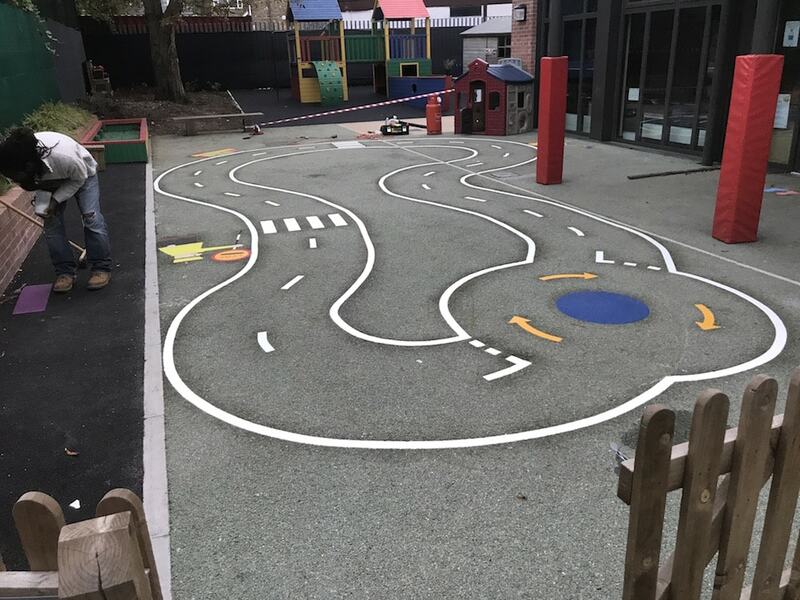 Thirdly our team installed this Cycle Track. 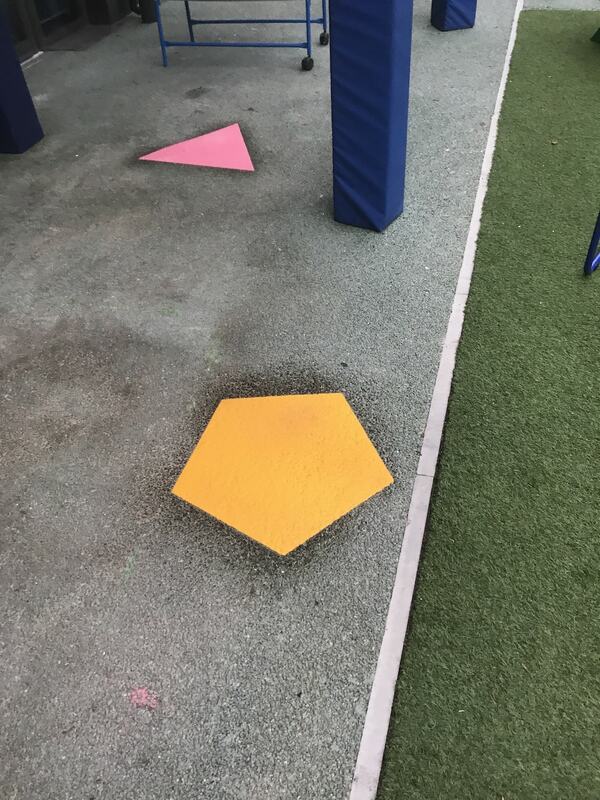 Then these 600mm random shapes were installed. 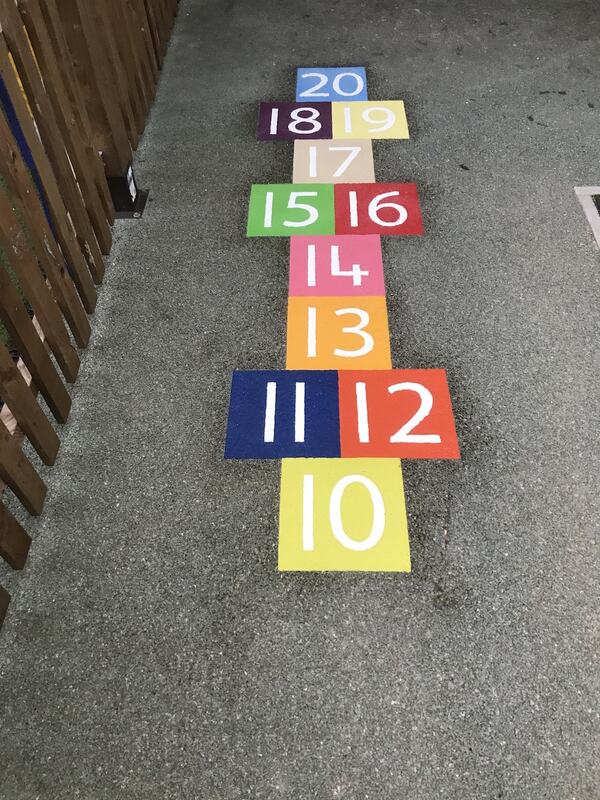 Finally we installed a 10-20 Hopscotch.